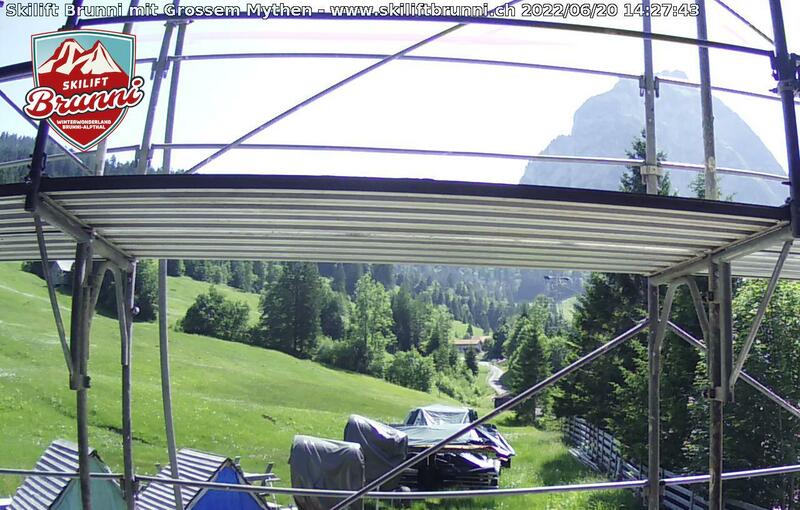 The webcam is located at 1'100 m.a.s.l. at the valley station of Skilift Brunni. You see the Skilift Brunni on the right as well as the wide slope on the left. The webcam shows the weather in east direction. 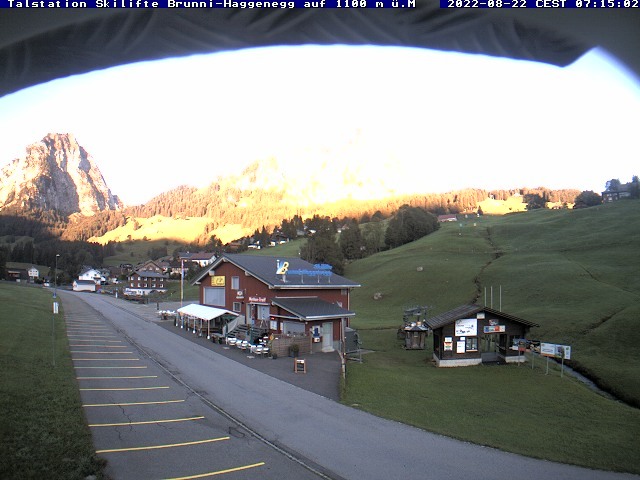 Die Webcam is directed to south and shows the "Grossen Mythen" mountain. It is placed 1'100 m.a.s.l. and is updated every 15 minutes. 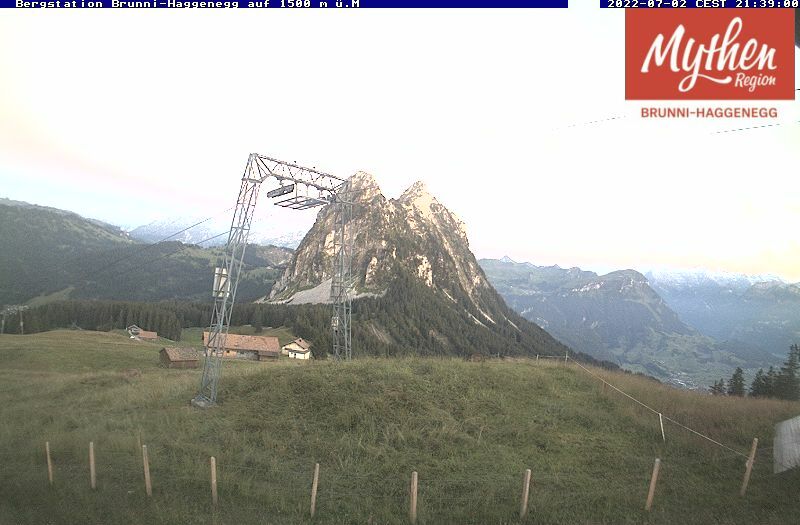 The webcam of the adjacent skilifts Brunniweid operated by Skilifte Brunni Haggenegg AG shows the "Mythen" mountains in the field of view. On the right you see the "Grosser Mythen" mountain, the "Kleine Mythen" are on the right. The webcam is located on 1098 m.a.s.l., facing south-west. 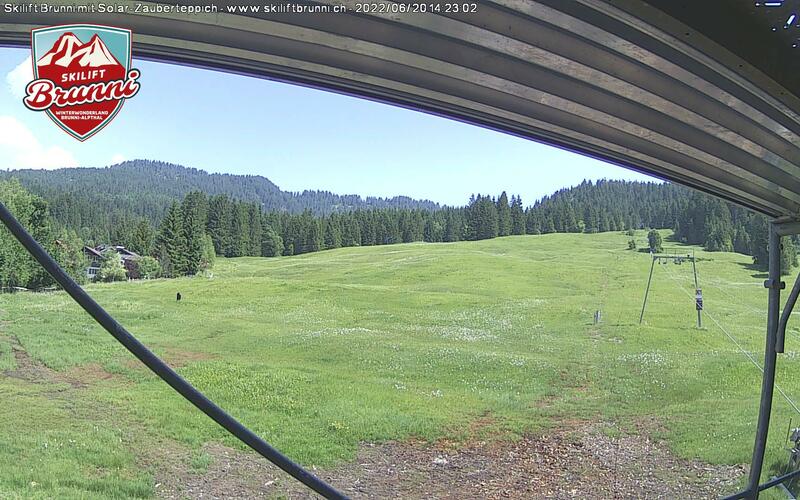 The webcam of the adjecent skilift Nätschberg shows the weather situation on 1'500 m.a.s.l..